North Star African Violet Council Twin Cities: Happy New Year!!! Note the lovely "crown" these rare birds have? They are perhaps related to the Crowned Cranes of Africa. 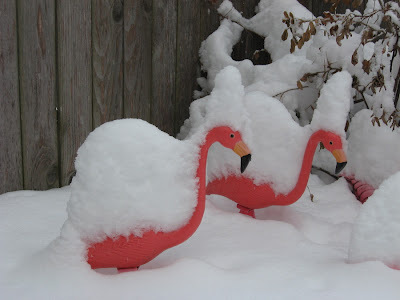 These would be Crowned Flamingos though. This year promises to be a very good "plant" year. I would ask members of the club, and anyone else who likes to participate in plant related chat, discussion and information gathering to really make the effort to help with the blog. As the blog "care taker" I haven't made many entries for a while, considering if this was a good media to exchange ideas and get participation from folks. I think that it's probably better and more cost effective than paper news letters, and it's got the potential to be much more fun and interactive. What I would like to know is what form this should take to be of service to our club and other violet/gesneriad liking people. I can make entries about most plant topics, but it is the participation that is important. Ideas???? nsavctc@gmail.com Let us know. Have a most delightful New Year. Let the plants grow!!! !